Bake 38 to 43 minutes or until toothpick inserted in center comes out clean. Cool 30 minutes before serving. When ready to serve, sprinkle lightly with powdered sugar. Use large spoon for serving. 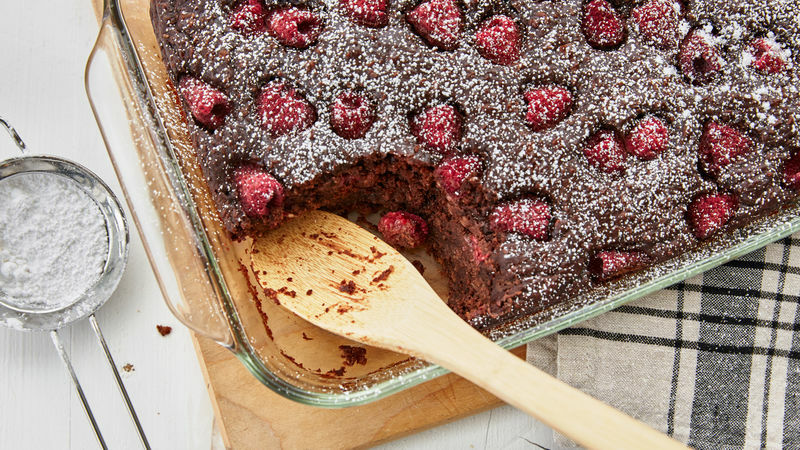 For more chocolate flavor, try drizzling chocolate-flavor syrup over top of cake!